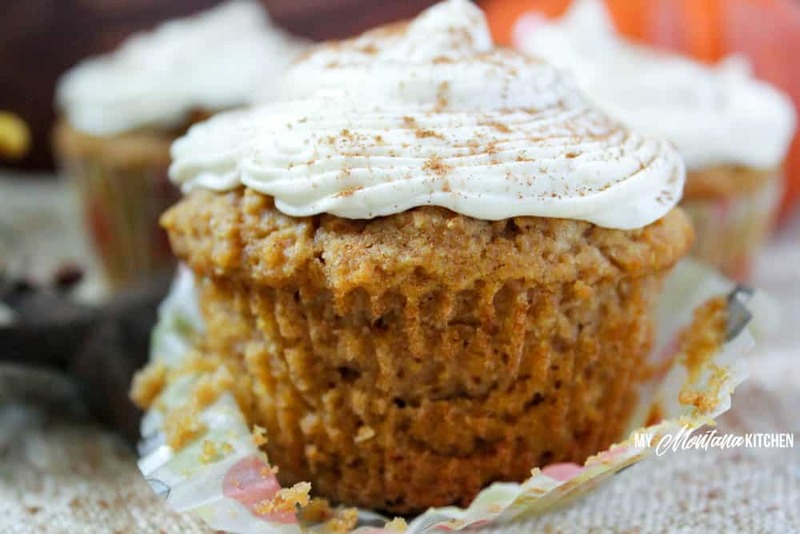 These pumpkin spice cupcakes are a tender burst of flavor in your mouth! Perfect with a good cup of coffee for an afternoon treat. This recipe is low carb, sugar free, and a Trim Healthy Mama S Fuel. I can hardly believe it is already the last full week of October! The weather is turning colder in Montana, and yes, we have already had about 2 inches of snow! (The snow melted the same day, but still!) My mind is already beginning to turn to thoughts of Thanksgiving and Christmas recipes! 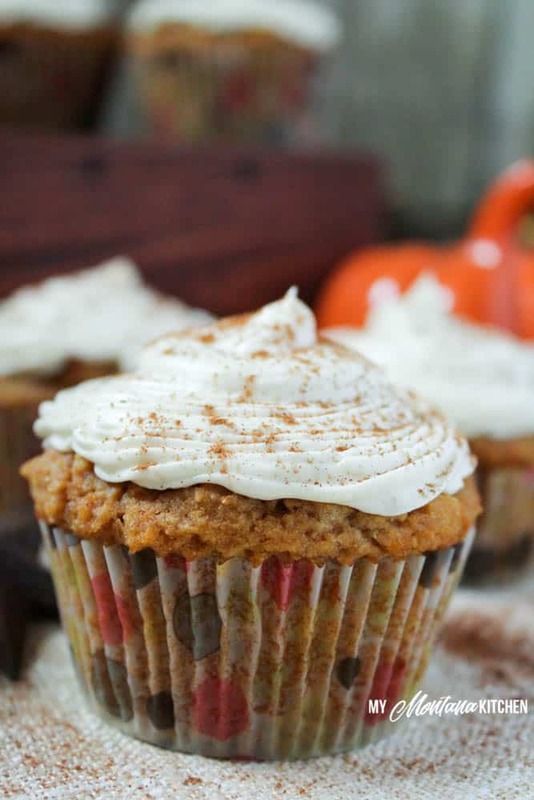 But first, these Pumpkin Spice Cupcakes! It is no secret that I love pumpkin! Pumpkin Cake, Pumpkin Bars, Pumpkin Protein Bars, Pumpkin Pie, Pumpkin Spice Latte, the list goes on and on. So it is no surprise that I felt we needed a recipe for cupcakes! I wanted to add an extra touch of “special” so I added some maple flavor to the cream cheese frosting. Trust me, this little extra touch takes it over the top! Again, I love using the Trim Healthy Mama Baking Blend. Mostly because I love the way it “lightens up” all my delicious baked goods! However, this recipe will work with just as well with an equal blend of almond flour, coconut flour, and flax meal. The last time I made these pumpkin spice cupcakes, I had a small amount of batter left over. I poured the batter into a small ramekin and baked it. After it had cooled, I sliced it in half and made a mini layer cake! So delicious! 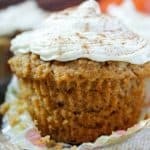 If you would like to switch things up a bit, my blogging buddy over at Grace Filled Homemaking has an awesome recipe for Maple Cupcakes with Pumpkin Spice Frosting! 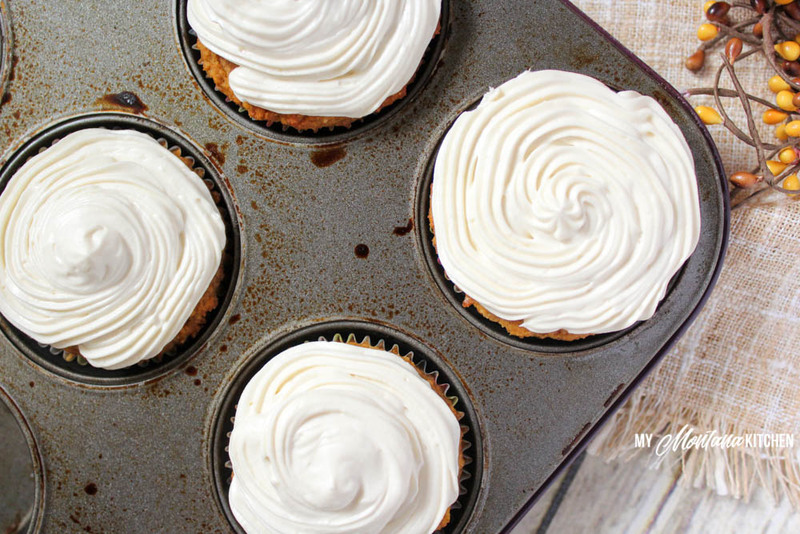 So what do you need for these Low Carb Pumpkin Cupcakes with Maple Frosting? 1/2 Cup Melted Coconut Oil I use refined coconut oil so there is no coconut flavor. Prepare a 12 cup Cupcake pan with liners and spray with coconut oil. Gradually add in wet ingredients and mix well. Measure out roughly 1/4 cup of mixture into each cupcake liner. Bake for 25-30 minutes, or until tops of cupcakes are dry. Mix all ingredients together and beat with a mixer for 2-3 minutes, or until frosting begins to stiffen. If you do not have the Trim Healthy Mama Baking Blend, you can use 1/2 cup each of almond flour, coconut flour, and flax meal. Would you consider making your recipes pinable on Pinterest? It is so much easier to save recipes that way . 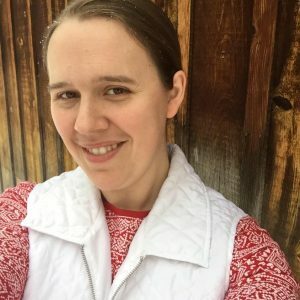 All of my recipes can be pinned. 🙂 There is a Pinterest share button at the bottom of each post (below the recipe card). Also, if you hover over any photo, a Pin button should appear. Would you use super sweet for the cupcakes? 3 Tbsp+2 tsp? I wouldn’t worry about it if its just overnight, but if it were three or four days I probably would. I would recommend refrigerating them after you frost them. So a total of if 2 3/4 cups of sweetener? That seems like a lot! No, there is only 1 1/4 Cups of erythritol. The 1 1/2 Cups is Baking Blend.